The roof that protects your commercial property plays an essential role in the overall well-being of your business. If your roof springs a leak or is damaged during a bad storm, you could have to put your operation on hold while it’s being repaired Fortunately, Dynamic Alliance Roofing has been helping business owners with their commercial roofing needs for almost three decades now, and we are more than qualified to repair roof damage and seal leaks. 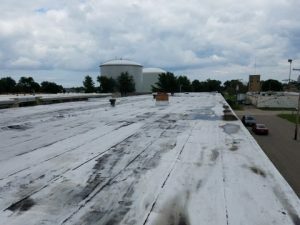 We can assist businesses in Appleton, Central Wisconsin and the surrounding areas with all their roofing repairs needs. If you’re dealing with a roofing issue at the moment, Dynamic Alliance Roofing can send professional roofers to your establishment to conduct a thorough inspection. Once we’ve identified the source of the issue, we can fix roof damage quickly and repair any leaks that need to be sealed. This will put your mind at ease and allow you to continue with your normal day-to-day operations. 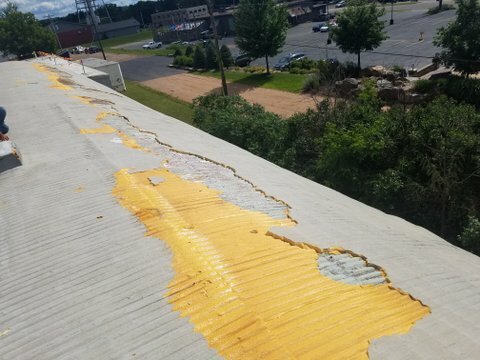 In addition to providing emergency leak repair, we can also conduct annual roof inspections to spot roof damage that may be relatively minor. It’s much easier and less expensive for us to fix these small issues than it is for us to come out when a problem has already spiraled out of control. Regardless of whether you have a big or small problem with your roof, Dynamic Alliance Roofing will be there every step of the way to make sure repairs are done properly and in a timely fashion. Are you currently in need of roofing repair? Call Dynamic Alliance Roofing at (920) 221-3330 or (715) 421-1845 to schedule an appointment today.